« ZUB and SEPULVEDA Present a Very Special Halloween Spooktacular in SHADOWMAN #11! ZERO #1, a brand new debut from writer Ales Kot with artist Michael Walsh, has officially sold out at the distributor level after its first day of release. In ZERO #1, Kot and Walsh introduce us to Edward Zero, an extraordinarily efficient soldier trained from youth to do exactly as he is told, no matter how brutal or untoward the act. Each issue will feature a new artist and mission for Zero to complete, with the end goal being a demonstration of how Zero’s life changes as a result of his deadly work. ZERO #1 may still be available at comic stores, and is also available digitally on the Image website (imagecomics.com) and the official Image Comics iOS app, as well as on Comixology on the web (comixology.com), iOS, and Android. 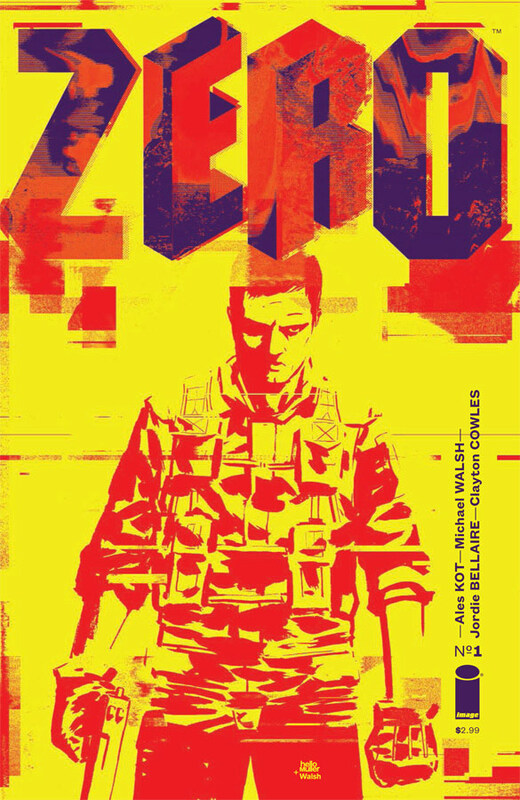 ZERO #2 is in stores on 10/16 and can be pre-ordered now (Diamond Code AUG130721). This entry was posted in Columns and tagged ales kot, david henderson, IMAGE COMICS, michael walsh, oliver sava, tony guerrero, ZERO. Bookmark the permalink. Follow any comments here with the RSS feed for this post. Post a comment or leave a trackback: Trackback URL.